For years it seemed as though webcams were destined to join the likes of optical drives and flatbed scanners as legacy peripherals that people no longer use. But then, social video platforms such as Twitch exploded in popularity and brought about a webcam renaissance. Webcams are still commonplace on notebooks but if you want to livestream using your desktop, you’re going to need a standalone device. Logitech’s C920 HD Pro, which was designed with video calling in mind, has served as the gold standard since launching nearly five years ago. Faced with a new target audience, dated hardware and stiff competition, Logitech has launched a new webcam built specifically for the streaming crowd. 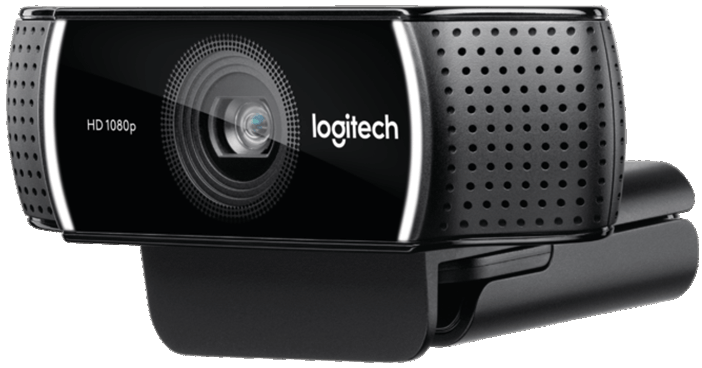 The Logitech C922 Pro Stream Webcam is capable of streaming and recording video in 1080p at 30 frames per second or 720p at 60 frames per second. You also get built-in H.264 compression, dual omni-directional noise cancelling microphones to capture stereo audio, automatic low-light correction, autofocus and a handy desktop tripod. There’s also a digital dynamic background replacement feature powered by Personify that eliminates the need for a green screen, similar to what Razer’s Stargazer offers. Logitech said it worked closely with gaming broadcast software company XSplit to integrate its live streaming and recording applications into its new webcam. Buyers will receive a free three-month license of XSplit Premium for trial purposes. The Logitech C922 Pro Stream Webcam is available as of writing priced at $99.99.